Substance use disorders affect millions of adolescents each year. In January 2015, the Center for Medicaid and CHIP Services (CMCS) and SAMHSA issued a joint informational bulletin to guide states in designing a benefit to meet the needs of youth with substance use disorders (SUD) and their families and help them comply with their obligations under Medicaid's Early and Periodic Screening, Diagnostic, and Treatment (EPSDT) requirements, Coverage of Behavioral Health Services for Youth with Substance Use Disorders. a new resource from the TA Network, highlights the joint informational bulletin, and provides examples of how SUD services are operationalized in states within Medicaid, to help guide planning, design and implementation efforts in other states and jurisdictions across the country. In partnership with Relias Learning, the National Council is pleased to offer a Children's Services Certificate of Excellence to better prepare the juvenile justice, child welfare, educational, healthcare, and behavioral health care workforce to provide easy access to affordable, comprehensive care for children experiencing mental illness and addiction. number of historically underrepresented researchers and evaluators of color such as African Americans, Latinos, Native Americans, Pacific Islanders, and underrepresented Asians. Diverting to Treatment: Community Policing and Mental Illness. Mark your calendar for a KSOC-TV live panel discussion exploring the changing role of law enforcement in supporting youth and young adults with a mental disorder. Watch live online on November 15 from 2-3 p.m. ET. Join the National Council for an informational webinar introducing their Trauma-Sensitive Schools Learning Community Thursday, November 17 3-4 p.m. ET. Learn how you can join other schools across the country to advance this promising approach that reduces the impact of trauma and toxic stress and builds resilience in our children. Consider integrating this 10 minute video is an excerpt from SAMHSA's 2016 National Children's Mental Health Awareness Day national event webcast. Consider integrating the video into your outreach efforts with schools and education stakeholders. The video can spark a conversation about how school systems can work with youth and family leaders, as well as behavioral health providers, to ensure students have access to mental health services and supports on campus. Garrett Lee Smith (GLS) Campus Suicide Prevention Grant The Center for Mental Health Services is accepting applications for fiscal year (FY) 2017 Garrett Lee Smith (GLS) Campus Suicide Prevention grants. The purpose of this program is to facilitate a comprehensive public health approach to prevent suicide in institutions of higher education. The grant is designed to assist colleges and universities in building essential capacity and infrastructure to support expanded efforts to promote wellness and help-seeking of all students. Additionally, this grant will offer outreach to vulnerable students, including those experiencing substance abuse and mental health problems who are at greater risk for suicide and suicide attempts. The Center for Substance Abuse Treatment (CSAT) is accepting applications for FY 2017 Cooperative Agreements for Adolescent and Transitional Aged Youth Treatment Implementation grants. The purpose of this program is to provide funding to states, territories, and tribes to improve treatment for adolescents and/or transitional aged youth with substance use disorders (SUD) and/or co-occurring substance use and mental disorders by assuring youth state-wide have access to evidence-based assessments, treatment models, and recovery services. SAMHSA is now accepting applications for the FY 2017 program, Planning and Developing Infrastructure to Improve the Mental Health and Wellness of Children, Youth and Families in American Indian/Alaska Natives (AI/AN) Communities grants. The purpose of this program is to provide tribal and urban Indian communities with tools and resources to plan and design a holistic, community-based, coordinated system of care approach. These grants are intended to increase the capacity and effectiveness of mental health systems serving AI/AN communities. 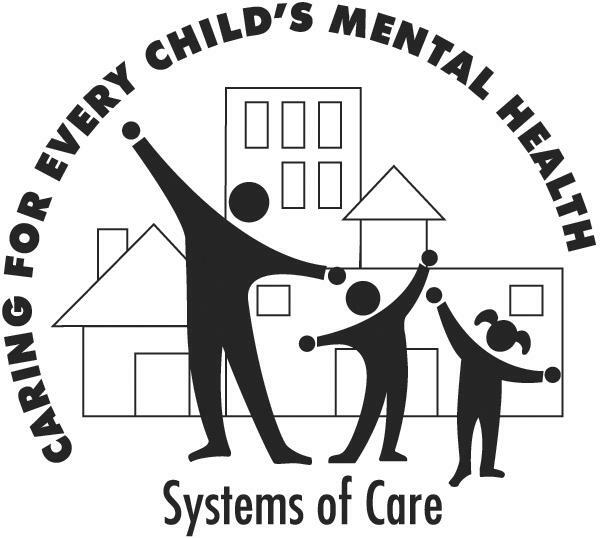 The Center for Mental Health Services (CMHS) is accepting grant applications for the FY 2017 program, Cooperative Agreements for the Expansion and Sustainability of the Comprehensive Community Mental Health Services for Children with Serious Emotional Disturbances.The purpose of this program is to improve behavioral health outcomes for children and youth with serious emotional disturbances and their families. The System of Care Expansion Leadership Learning Community (LC) will launch with an overview of the 2016 SOC Expansion Cooperative Agreements. This LC is designed to support SOC leaders in meeting the requirements of their cooperative agreements and accessing technical assistance resources to support successful SOC expansion and sustainability. Family-run organizations often work with families that are caring for a child who may be eligible for services from an out-of-home program. This webinar will cover creative ways that family-run organizations can partner with residential and community providers to support use of these best practices, with a special emphasis on successfully engaging families. The Children's Mental Health Initiative (CMHI) is hosting a two-part series on family and youth involvement in evaluation. This webinar will focus on the implementation of youth-guided and youth-driven practice in evaluation. It is designed for individuals fulfilling multiple roles in SOC expansion grant sites, including youth and family organizations, stakeholders, evaluators, directors, managers, and other team members. This webinar, hosted by the National Indian Health Board, will focus on discussion and review of provisions of the Affordable Care Act that provide protections for Native people and access to health insurance. A specific focus will be placed on provisions in the ACA that are unique to children and families in the child welfare system. Join this webinar to learn more about free grant research and tools, dynamic proposal development, and relationship management that will steer you and your team to identify the right funding partners and keepthem engaged in your work. Don't miss your opportunity to register for Youth M.O.V.E. National's highly interactive Direct Connect National Learning Community for Young Leaders! We look forward to connecting with you and supporting you in developing skills and relationships that will help you in your work to transform the behavioral health system and expand Systems of Care. This webinar will provide an overview of how to revise service delivery policies in a variety of settings to ensure that they are inclusive of transgender people. Following this Learning Exchange, attendees will be invited to participate in Office Hours that will respond to community-specific questions about inclusive service delivery for transgender people. SAMHSA's recorded webinar on the 2017 Funding Opportunity Announcement: SOC Expansion and Sustainability Cooperative Agreements provides a walk-through of the Funding Opportunity Announcement (FOA) and tips for submitting a successful application.The accompanying FOA Analysis summarizes the purpose and overall approach in 2017 and highlights required activities with a strategic framework for SOC expansion that includes the systemic changes needed to expand and sustain the SOC approach. The Collaborative Approach to the Treatment of Pregnant Women with Opioid Use Disorders: Practice and Policy Considerations for Child Welfare, Collaborating Medical, and Service Providers publication provides an overview of the effects on infants of opioid use by pregnant women and evidence-based recommendations for treatment approaches from leading professional organizations. An in-depth case study is also featured, which includes ideas that can be adopted and adapted by other jurisdictions and a guide for collaborative planning, including needs and gaps analysis tools for priority setting and action planning. The Working With the Correctional System and Incarcerated Parents podcast features a conversation between those with experience on both sides of the working relationship between the child welfare and correctional systems. Each side of this relationship shares the same vision for the incarcerated parents: Reentry into society and reunification with their family where appropriate. The United States Department of Housing and Urban Development is holding a series of webinars on November 17th for Continuum of Care (CoC) Collaborative Applicants and providers, Emergency Solutions Grants (ESG) recipients and sub-recipients, and Housing Opportunities for Persons with Aids (HOPWA) grantees to educate participants on the requirements of the Equal Access Rule and Gender Identity Rule and how to ensure that projects operate in compliance with these rules. This webinar series will also provide "LGBT Language 101" training to aid participants in increasing their knowledge and skills in using appropriate, inclusive language with all clients they serve. Participants will be introduced to HUD's TA materials which include a self-assessment tool, staff and volunteer training scenarios, and a policies and procedures guidebook (all available on the HUD Exchange LGBT Resource page)to aid their compliance efforts. Call for Presentations! Share best practices and expertise from your work at the NICWA 34th Annual Protecting Our Children Conference. Popular past workshops have presented innovative tribal and community programs, unveiled new curricula and research, and shared effective youth engagement practices. The proposal deadline is November 17. The National Association for Children's Behavioral Health (NACBH) is hosting a two-day conference on December 1-2 in St. Pete, FL titled Leveraging Organizational Health to Advance Your Mission. This meeting will provide an opportunity for agency executives and key managers to engage with NACBH's mission-driven thought leaders while learning about organizational health concepts and tools to increase effectiveness. The Adults Working with Native Youth Training of Trainers event, from December 7-9 in San Diego, CA, is intended for adults who work with Native youth. Participants who complete the training will be certified trainers in the Native Wellness Institute's 10-lesson "Native Youth Leadership" curriculum. The training will be hands-on and experiential, and participants will give presentations to display their knowledge and understanding of the curriculum. The National Council for Behavioral Health NATCON Conference represents the largest gathering of mental health and substance use treatment organizations in our industry and gives you an opportunity to speak with senior staff, administrators, clinical managers, researchers, policy makers, consumers, and board members of organizations. The conference will be held at the Washington State Convention Center in Seattle, WA, April 3 - 5, 2017. To take advantage of a special discount, enter the code "500NCBH17" when you register. The Institute for Innovation and Implementation, at the University of Maryland School of Social Work (UMSSW), has entered into a cooperative agreement to establish a National Quality Improvement Center on Tailored Services, Placement Stability, and Permanency for Lesbian, Gay, Bisexual, Transgender, and Questioning Children and Youth in Foster Care (LGBTQ QIC). This project will work nationally, in partnership with state child welfare systems, to design interventions to enhance staff, caregiver, and provider knowledge, skills, and competency in providing safe, affirming, and supportive environments for LGBTQ youth in foster care. The Behavioral Health Disparity Impact Statements (BHDIS) webinar was focused on SAMHSA's requirements, which are used to identify disparate populations served by organizations and SOC. Participants gained a greater understanding of the importance of BHDIS, how to gather data, and methods to utilize the statements for ongoing service development/continuity. SAMHSA grantees are required to submit BHDIS within 60 days of new awards. Office hours will be made available for grantees over the next couple of weeks by Dr. Peter Gamache (peter.gamache@gmail.com) for BHDIS assistance. 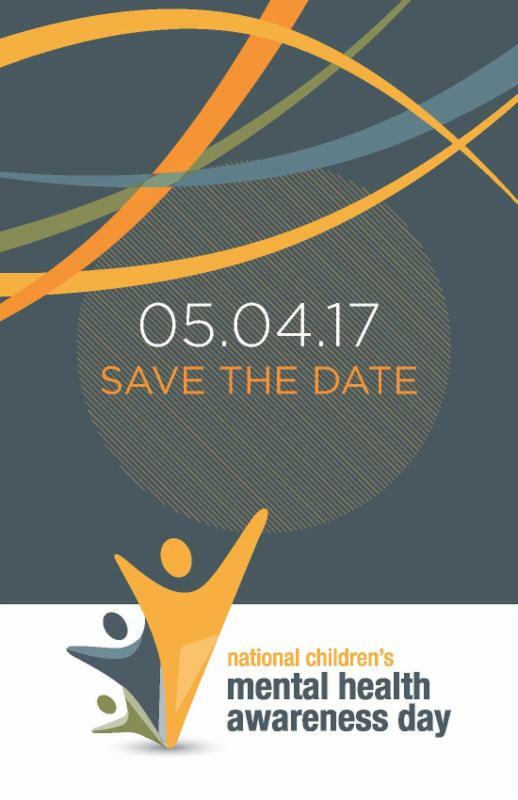 Save the Date: The 30th Annual Research & Policy Conference on Child, Adolescent, and Young Adult Behavioral Health will be held in Tampa, FL March 5 - 8, 2017. Early bird registration is now open! This announcement is funded by the Substance Abuse and Mental Health Services Administration (SAMHSA) through the National Training and Technical Assistance Center for Child, Youth and Family Mental Health (NTTAC), operated by the National Technical Assistance Network for Children's Behavioral Health (TA Network).